For outstanding contributions and leadership in hydrology and water resources management. It gives me great pleasure to present Professor Kuniyoshi Takeuchi, Professor Emeritus of the University of Yamanashi, Kofu and Director of the International Centre for Water Hazard and Risk Management, Tsukuba, Japan, as this yearâ€™s recipient of the International Hydrology Prize. Professor Takeuchi has a world reputation as an exceptional scientist, charismatic teacher and influential leader based on his outstanding contributions to hydrological research, particularly in the field of water resources management, his role in educating young researchers through establishing both national and international academic programmes, his international leadership in the field of water sciences, especially related to UNESCO IHP and his extraordinary contributions to hydrological sciences as President of IAHS, especially for launching the international decade of Prediction in Ungauged Basins (PUB). Professor Kuniyoshi Takeuchi graduated in Civil Engineering from the University of Tokyo and received a Ph.D. in City and Regional Planning from the University of North Carolina at Chapel Hill. He worked as a Research Associate at Colorado State University and the Tokyo Institute of Technology. He also worked as a research scholar at the International Institute for Applied Systems Analysis (IIASA), Austria, after which he joined the University of Yamanashi, Kofu, Japan as an Associate Professor where he was soon promoted to Full Professor. Six years ago he was appointed the founding Director of the International Centre for Water Hazard and Risk Management (ICHARM), under the auspices of UNESCO in Tsukuba, Japan. In this capacity he has been spearheading its research and education programmes for international cooperation to help governments and local communities to reduce water disasters in the world. Kuniyoshi Takeuchiâ€™s early research focused on optimal control of multi-unit inter-basin water resource systems. During this time, he developed a Linear Program coupled with Dynamic Program (DCL) for optimal reservoir operation and the concept of Drought Duration Curves (DDC) for hydrological persistence statistics and chance-constrained reservoir operation. The challenge he faced was to identify optimum or near-optimum management strategies in a high-dimensional solution space, and his parsimonious parameterisation method of marginal loss functions and the combined optimization approach proved to be very efficient. During his stay at IIASA, he developed cyclone track forecasting methods using Kalman filter. At this time, filter methods were mainly used for runoff forecasting in hydrology. His approach of using filter methods for storm track forecasting was innovative and widened new areas of applying it for hydro-meteorological forecasting. After returning to Japan, he expanded his DDC method to include high flows and the resultant Drought and Flood Duration Curves of precipitation and streamflow were used as Palm prints of rivers that at a glance indicate the flow regime of the river and the degree of development efforts necessary to control floods and water resources. Anticipating the important role of remote sensing for hydrology and water resources management he developed methods for exploiting radar and satellite measurements of rainfall for hydrological purposes. He also developed a hydrological simulation model for Lake Kawaguchi in the Mt. Fuji area based on a tank model that estimated lake water level in semi-real time and has played an important role in water supply management of the downstream city of Yokohama. He also contributed a study of using water quality as a tracer to separate streamflow components into near surface and deep subsurface flow. This interest in water quality was extended to laboratory experiments of water purification processes in the capillary zone of soil moisture and the effects on the aquatic flora of changes in the concentration of nutrients. From the mid 1990s, he was one of the first researchers worldwide to recognize the need for studying the operation characteristics and hydrological effects of dams and reservoirs at a global scale. His long-term view of sustainability was a novel concept in reservoir management at that time. One of the outputs of this body of research is his IAHS publication on â€œSustainable Reservoir Development and Managementâ€ that appeared in 1998. Kuniyoshi Takeuchi once more demonstrated his uncanny ability for defining new paths forwards when he put high-resolution distributed hydrological models on his research agenda. He developed the YHyM/BTOPMC model that extends the Topmodel concept from small headwater catchments to large river basins such as the Mekong. The new philosophy was to use globally available data including satellite data where no ground observations are available or accessible for parameterising and driving the model thus making global application of the model feasible. The model is based on satellite measured precipitation, evapotranspiration, snow and ice, discharge, flow routing, sediment and water quality. Also, the model is numerically more efficient than previous models through a block-wise approach essential for high resolution models. Kuniyoshi Takeuchi and his colleagues are currently implementing this model at the global scale. After moving to ICHARM in 2007, he merged his model with the Integrated Flood Analysis System of the Public Works Research Institute and made it a very useful tool for flow simulations in poorly gauged basins in warm humid regions in the world. The model has a sound theoretical basis and a clever, nested philosophy of data acquisition. The nested approach uses satellite and other globally available data as a default and, as additional, more local data become available, they can be assimilated into the hydrological simulations. This nested approach has been much appreciated by experts from numerous countries around the world including Indonesia and Pakistan. Professor Takeuchi has also been very active in the education of young colleagues. In 2003, as the leader of the 21st century COE programme on â€œResearch and Education on Integrated River Basin Management in the Asian Monsoon Regionâ€ at the University of Yamanashi, he established the International Special Doctoral Course for Integrated River Basin Management and the Virtual Academy. This is a course aiming at an in-depth education in specialised areas, such as hydrological modelling, together with the ability to communicate across a wide spectrum of disciplines. Designing and implementing these programmes has been a major achievement in the education of young scholars and engineers in the area of hydrology and water resources management. His educational contributions have continued at ICHARM. He established postgraduate Master and Doctoral programmes on Disaster Management at ICHARM jointly with the National Graduate Institute for Policy Studies and Japan international Cooperation Agency. The programmes have mostly attracted practitioners from the public sector of water resources and water-related disaster management. His dedicated educational efforts in international programmes at the University of Yamanashi and ICHARM have been very visible around the world. Many of his students have gone on to important positions in academia and administration in countries such as China, Thailand, Nepal, Iran, the US and Australia. Professor Takeuchi has been one of the key players of the UNESCO-International Hydrological Programme (IHP) from an Asian perspective. He promoted collaborative research on the hydrological cycle and sustainable development of water resources in Southeast Asia and the Pacific region by initiating the IHP Regional Steering Committee for Southeast Asia and the Pacific (RSC). Before he had started these IHP activities, there was not a single forum or symposium on hydrology and water resources in the region. During his service on the RSC as the secretary for the first six years, he impressively strengthened the research in the region by establishing an information network of mutual exchange of hydrological and meteorological data through cooperation with local researchers. Among many other achievements, the group has published the Catalogue of Rivers for Southeast Asia and the Pacific, has promoted the Asian Pacific FRIEND programme (hydrological research through international exchange of river data), and has been holding a seminar every year in rotation. 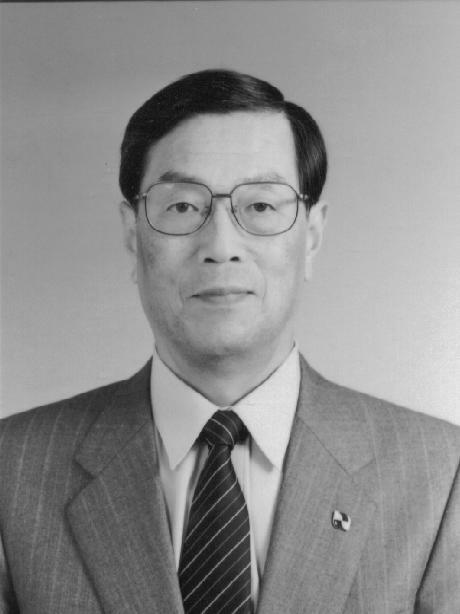 Kuniyoshi Takeuchi chaired the Intergovernmental Council of the UNESCO IHP from 1998 to 2000. During his term he promoted the IHP phase five programme, the formulation of the phase six programme and coordination with the World Conference on Science (ICSU) and the World Meteorological Organization (WMO). These contributions to IHP and UNESCO-related activities received high acclaim and led him to take responsibility to direct ICHARM, a UNESCO category II centre when it was established in 2006. As the founding director, he soon advanced the Centre to one of the most successful of the almost 20 UNESCO centres. His leadership has been a major contribution to the discipline in Asia and worldwide by furthering and implementing knowledge-based decision-making. Concurrently with his ICHARM directorship, he has been serving on various other international boards. He has been a member of the High-Level Expert Panel on Water and Disaster under the UN Secretary Generalâ€™s Advisory Board on Water and Sanitation, Secretary of the International Flood Initiative organised by UNESCO, WMO, UNISDR and UNU, a member and a vice chair of the Science Committee of Integrated Research on Disaster Risk (IRDR) organised by ICSU cosponsored by the International Social Science Council and UNISDR, the Chair of the National Committee for the IRDR in the Science Council of Japan, and President of the IUGG Commission on Geophysical Risk and Sustainability. Through these activities, he has been promoting hydrological sciences and technology to better serve land and water management and water-related disaster management. Kuniyoshi Takeuchi has also made major contributions to the IAHS over the past 30 years. He served as a President of the International Commission on Water Resources Systems from 1992 to 1995, and as a Vice President of the IAHS from 1995 to 1999. Due to his excellent work and leadership, he was elected President of the IAHS for the term 2001 to 2005. In 2001, as the president of IAHS, he launched the international decade on Prediction in Ungauged Basins (PUB) and established the international PUB research network. IAHS PUB is an initiative that emerged out of discussions between IAHS members on the World-Wide Web and during a series of IAHS sponsored meetings in Maastricht (July, 2001), Kofu (March, 2002) and Brasilia (November, 2002) about the need to reduce the predictive uncertainty in hydrological science and practice. In particular his activities in Kofu have been instrumental in starting PUB which has aimed at shifting the predictions of stream flow, sediment and water quality variables from calibration-based to new, and largely understanding-based methods. As the PUB decade is drawing to a close, IAHS members are fully appreciating the crucial role of Kuniyoshi Takeuchi in launching this flagship activity of IAHS. Kuniyoshi Takeuchi has already received numerous national and international honours. For example, he received the â€œResearch Promotion Awardâ€ from the Japan Society of Civil Engineers, the â€œDistinguished Achievement Awardâ€ from the Japanese Society of Hydrology and Water Resources, the â€œScience Academy Awardâ€ from Yamanashi Science Academy and the â€œInternational Contribution Awardâ€ from the Japanese Society of Civil Engineers. Kuniyoshi Takeuchi is currently an Honorary Professor of the Institute of Water Resources and Hydropower Research in China, Hohai University, Beijing Normal University and the Nanjing Institute of Hydraulic Engineering. Kuniyoshi Takeuchi is a person of broad interests and a deep thinker, and he is also a person who knows how to put ideas into practice. Throughout his career he has equally valued societal needs and scientific rigour for the better of the science and humanity. His contributions to solving global water problems have been enormous and he has freely shared his expertise and enthusiasm. Professor Takeuchi has been instrumental on the worldwide international stage for such a sustained period in leading research in hydrology and water resources management. It is a great privilege to present Professor Kuniyoshi Takeuchi with the International Hydrology Prize on the basis of these truly outstanding contributions and leadership in hydrology and water resources management. He will certainly add distinction to a very distinguished award. Thank you so much, Gordon. 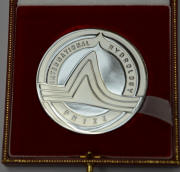 It is a great honor for me to receive this truly distinguished award, the International Hydrology Prize. I am especially happy and honored to receive the prize on this occasion of the closure of the IAHS PUB Decade and the 90th Anniversary of IAHS. Compared with the scientific contributions of many giant hydrologists who received the Prize in the past, my contribution may be little. But if I could do anything that deserved the Prize, it was only with my excellent colleagues, including many brilliant students, whom I have had the good fortune to work with for a long time. Without their support and cooperation, I could achieve nothing. I feel so lucky to have such nice colleagues in Japan, Asia and all over the world. I proudly receive this honor together with all those colleagues,. Thank you very much to those who nominated me for the Prize. Especially, GÃ¼nter and Siva. I know that your kind initiation for nomination brought me this honour. GÃ¼nter kindly drafted the nomination by reading many of my publications, finding the time although he is exceptionally busy. Siva made my contribution to PUB possible with his brilliant ideas, leadership and kind trust in me. PUB was the highlight of my whole IAHS life. I am so happy to be able to work with many friends all over the world with such strong confidence and excitement. Thank you very much to all of my IAHS friends. IAHS is my family providing me a professional home, class room and society of life-long friends. I truly treasure the time I have shared with IAHS friends; I am so lucky to be a member of this IAHS family. Last, but not the least, I would like to thank my wife, Hiroko. All of my work has been possible only due to her continuous encouragement and support and the warm environment she created in our family. Thank you so much Hiroko. I would like to share the honour with you and our proud family, four kids, six grandchildren and another grandchild on the way. Thank you so much again for the Prize. Let us keep working together to bring our IAHS legacy of science and friendship to generations and generations, century by century.